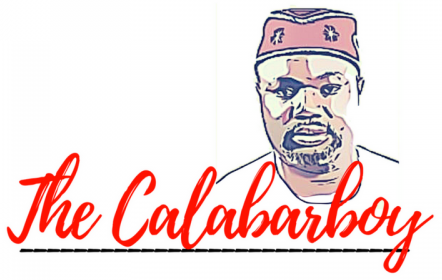 NIGERIA WILL BREAK INTO THREE -Primate Babatunde Elijah Ayodele | Thoughts of a Calabarboy. NIGERIA WILL BREAK INTO THREE -Primate Babatunde Elijah Ayodele – Thoughts of a Calabarboy. “Nigeria will break into three -Primate Babatunde Elijah Ayodele, Prophet who predicted sack of bank chiefs • Says Yar’Adua ‘ll win 2011 election • IBB to contest” – This is revealed by the Daily Sun Newspaper in Nigeria as reported by Olajiire Ishola. Below is the full article as culled from Nigeria World website. Please read and submit your comments so we discuss this. He is fast gaining the reputation of the Nostradamus of Africa. This is because most of his predictions accurately come to pass. It was Primate Babatunde Elijah Ayodele of Inri Spiritual Home, Lagos, who early in the year predicted the tsunami happening in the banks now. He also predicted correctly the removal of the Comptroller-General of Customs and the Boko Haram religious crisis, which claimed over 1500 lives. In his latest predictions, the cleric has said that the country called Nigeria will soon be extinct. He said the country will break up and three nations will emerge from its ashes. According to him, people of these nations will require visas to travel to the other ‘sister’ nations. Among other predictions, which cut across politics, economy, labour and education, Primate Ayodele said President Umaru Yar’Adua will get a second term but urged Nigerians to pray against death at the seat of government, Aso Rock. The Lord revealed to us early in the year the removal of the deputy governor of Bauchi State. We made a move and wrote him. When things happen in this country, I always laugh because our leaders are misled by their tin gods; people who cannot see beyond their noses. Those who will always tell you it is well when it is not. On July 19 this year, the deputy governor was removed. We also predicted the removal of the police boss, the Customs boss and the crisis happening in some states. Aside these, we wrote some security agents that we wanted to have audience with them but they refused because they do not believe that God’s information is the ultimate. They believe they can use calculations but they always goof, forgetting that God has the final say. The religious crisis in Bauchi was predicted before it broke out. We sent letters to them but they chose to ignore the warnings. But what was the consequence? Lives were lost. Our leaders underestimate God because they believe in their gods. If the country fails to change for the better, it would continue to experience the same problem over and over. For example, The Sun Newspaper in August reported the attempt to assassinate the governor of Yobe State and it is not yet over. The governor will not be given free hand to rule. You know we have nothing less than 50 million pastors. But how many of them are genuine? The reforms going on in the banking sector is not over. Some Managing Directors will still go. Remember we said that some banks will crash and some MDs would be removed. The existing banks will still merge and there is going to be some problems. At the end of the day, the number of banks will be reduced. Aside re-merging, the Central Bank would still introduce some things to monitor whatever the banks are doing. Spring Bank, Unity and Diamond banks will likely be in trouble and, of course, some new banks will emerge after these operations. Merchant banks are still coming. The new banks that will spring up will not last long; likewise some of the micro-finance banks will die prematurely. So the Central Bank is going to work seriously on it. Fidelity and Skye banks will have some problems; also Bank PHB. They will not crash but some irregularities will be detected. The question is, will this reform rebuild our economy? No, because the Central Bank itself will into troubled waters. The Central Bank governor is going to face a lot of tough battles. Some people will move for his removal while some will plot to disorganise his plans. The economy is not going to be a hundred per cent okay. There would be a kind of continuous rumble in the banking sector. The insurance sector will also encounter problems. I see a lot of changes coming to the NNPC (Nigerian National Petroleum Corporation). Pipeline explosions will still occur and we should be watchful about them. Fraud would be detected in the NNPC and it will face some challenges. AP, Chevron, Oando and Mobil will experience shake-up. We should pray that we don’t waste our external reserves. Still on the economy, Globacom is going to have problems. Etisalat will not find it so easy. Nigeria should be prepared. I see a new set of telecommunication companies coming up that will overtake some of the ones we have now. There is a cloud hovering above Visafone. The company will lose most of its major staff. There will be trouble with their major masts. Multilink will also undergo reforms. There will be increase in the price of bread. That is to say there may not be N50 bread again. Bread will be sold from N100 and above; likewise there will be increase in the price of biscuits. Dangote needs to pray very well so that he wouldn’t lose much in his business. He needs to pray because there will be a lot of antagonists in his business. There will be problems for Zenon Oil. I don’t know how it would happen, but trouble will emerge for Zenon Oil. Oyo State politics will be volatile. The government of the day will not find it easy because enemies will come from both sides. Aside this, antagonists will try to disorganise the plans of the present government. Adebayo Alao-Akala wants to re-contest, but it will not be easy. I see bloodshed in Oyo. If Alao-Akala is not careful, Ibadan people will fight him and raise an army of opposition against him. Lagos State needs to pray against internal problems. There will be internal fighting against (Governor Babatunde) Fashola. A lot of politicians in the state will be disappointed. There will be efforts to replace Fashola with another person but it will fail. Fashola will run for second term and only God can stop him. At the end of the crisis over the local governments, Lagos will have the 57 councils. The battle would be a long one but from the look of things, Lagos will win. PDP (Peoples Democratic Party) will look for a way of winning Lagos. It will come back in a big way but will have a weak candidate who will not be able to match Fashola. The 2011 election in Lagos will be full of crisis. Edo, Bauchi, Benue, Yobe, Kaduna and Ekiti states will experience electoral crises. In Ekiti, (Kayode) Fayemi will not win at the tribunal. He should wait for another time. There will be a lot of political moves against Oni, against his second term. We need prayers for 2011. The constitution reform process will not succeed. It will be dropped. (Ibrahim) Babangida is coming out but PDP will not allow him. Babangida contesting on the platform of PDP will not be realistic. There is going to be disorganisation in PDP towards 2011 because the Presidency issue will give them a lot of setback. There will be changes in INEC (Independent National Electoral Commission). There will be new methods in our voting system. If Yar’Adua fails to contest in 2011, another governor will emerge as presidential candidate of PDP. Goodluck Jonathan will be robbed politically and would be disappointed even before the end of his tenure. The Presidency needs prayer that there would be no death within the Villa. Yar’Adua is going to change his cabinet. Some ministers will be dropped between now and early next year. There will be political problems for Governor Olusegun Mimiko of Ondo State. Political tension, disorderliness is coming up in the state. Some House of Assembly Speakers will still be impeached and one SSG (Secretary to State Government) will be sacked. The efforts of the EFCC chairperson will not be appreciated at the end of the day. I see another EFCC coming up. Additional states will not be approved now but later in the South West, South South and the North. A state might not be created out of Oyo but surely Ijebu State is coming. Not all Senators, Reps and state legislators will complete their terms. I don’t see a sincere election in 2011. There would be different factions in the Action Congress. Katsina and Niger governors will face stiff opposition. (Ahmed) Yerima, former Zamfara State governor, can never be president of Nigeria. Lagos State is only wasting money on the Bar Beach. The place has a lot of spiritual undertone. No matter how much effort is introduced, the water will continue to overflow its bank. The Emir of Kano needs to pray very well. The Emir of Katsina needs prayers for God’s protection and guidance. Alaafin of Oyo will be troubled and will face some challenges. The Awujale of Ijebu-Ode will face some domestic problems. Aare Alao Arisekola needs prayer. Some former Nigerian presidents need prayers between 2011 and 2012. Lagos State will lose an ex-governor. The ASUU strike will take another dimension. The Minister of Education must be very careful about this else it could destroy his political future. We need prayer in our education sector because I see cultism coming up. Vice Chancellors of some universities will be sacked. Doctors will still go on strike. There will be problems in the NLC. Labour will proceed on strike in some states. I see bad fuel coming into the country. I also want to tell you that there will not be stability in our electricity supply. Some PHCN regional managers will run into trouble and there would be transferred. Some AIGs and army officers will be retired. Some army officers will go on compulsory retirement. Some service chiefs will be changed. There will be problem in Nigeria in future in which the flag and the name will change. I see that the Green-White-Green (flag) will go. I’m not telling you precisely how soon it will be. I see three nations coming out of Nigeria and settling down in different places. One will be stronger than the others and people will apply for visa to enter the stronger nation. How it will come I don’t know. Oodua State is coming. If care is not taken, it will be the state others will bow before. Nigeria needs a lot of prayers so that we don’t experience more religious crisis. Customs and the immigration services will change their uniforms. We will have local police; a lot of changes are coming into the police force. The Camerounian President needs prayer for good health and against political crisis. A great opposition is coming against him. The Togolese President will be betrayed by his closest aides. His authority in Togo will be challenged in the coming election. Former Ghanaian president, Jerry Rawlings, and the incumbent need prayers for good health. Rwanda will experience a new dawn. ANPP governorship candidate, Senator Abiola Ajimobi, will lose appeal against Oyo State Governor, Adebayo Alao-Akala. Lamido Sanusi’s banking reforms; specifically predicted the removal of Oceanic, Afribank CEOs and others. Death of former Chief of Army Staff, General Luka Yusuf. Its ok to listen to prophesy but what we do abt it is what matters. We have the ability to change what could be…the idea is change the pattern. U dont need Prophesy to tell a smoker that he could have lung cancer. Moreover i believe that if a prophesy if from God,the intention is to let his people know what going on and let us change. He doesn’t tell us to send us into fear. I dont believe all this. U want to tell me that he saw all this down to the minutest detail, simply to suit the situation of the country today? Sounds more to me like he made an inference and not a prophetic fact cos any analyst with a brain can infer these claims. The one I’m strongly against is d breakup of Nigeria bcos there hav been other more believable prophecies not attesting to this claim…but the future will tell. Let’s be careful wat we commit our minds too. I also agree that some other Pastors in Nigeria have also shared their own prophecies that Nigeria will not break up. Now as to how true this man’s words are….hmmm…that’s why it is open to deliberation. Reggie – What do you think about it? Nigel, I am not thinking yet about it, but simply studying other words I have heard prior to this to see if there is a point of meeting or departure. I believe prophecies are a warning anyway…so whether this is true or not, the country still has to resolve a lot of issue. Even a blind man knows that! end of discussion. watch and see if what he says come true. if it does, be afraid of him. I respect men of God, but at the same time if Nigeria must brake up let it be peacefully, let no lives be lost. The men of God should also give some good news about this nation thank you. Kayode Fayemi won at the Tribunals. Hi there, after reading this remarkable paragraph i am too glad to share my know-how here with colleagues.